The curriculum was first used in the 1995-96 school year as a pilot in 12 states. Since then the domestic program has expanded to include schools in every state as well as American Samoa, the District of Columbia, Guam and Puerto Rico. 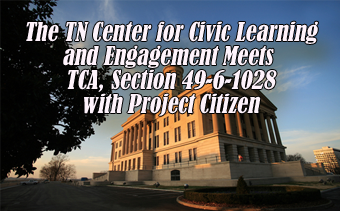 As of November 2006, approximately 22,500 teachers have taught Project Citizen to over 1,400,000 students. The formula for tracking student participation is based on two different surveys. The first was conducted in November 1997 by researchers at the Lyndon B. Johnson School of Public Affairs, University of Texas at Austin, in preparing An Assessment of We the People Project Citizen: Promoting Citizenship in Classrooms and Communities. 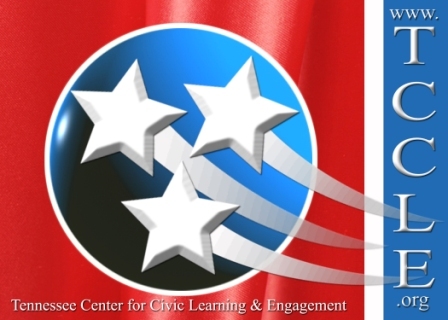 The second was conducted by the Center for Civic Education in February 1999. What is Public Policy?Getting scholars to agree on a single, all-inclusive definition of public policy is no easy task.Broadly, we might say that a public policy is simply what government (any public official who influences or determines public policy, including school officials, city council members, county supervisors, etc.) does or does not do about a problem that comes before them for consideration and possible action. Policy is made on behalf of the "public." No doubt, there are many problems in our communities that need to be solved. Some problems may readily be dealt with by actions taken in the private sphere (individuals and families) or by our civil society (social, economic, or political associations or organizations). Public policy problems are those that must be addressed by laws and regulations adopted by government. Your first task in ProCitizen is to firmly establish that the problem you want to work on is, in fact, one which requires government involvement to reach a solution.